Paul Deitel, CEO and Chief Technical Officer of Deitel & Associates, Inc., is a graduate of MIT, where he studied Information Technology. Through Deitel & Associates, Inc., he has delivered hundreds of programming courses to industry clients, including Cisco, IBM, Siemens, Sun Microsystems, Dell, Lucent Technologies, Fidelity, NASA at the Kennedy Space Center, the National Severe Storm Laboratory, White Sands Missile Range, Hospital Sisters Health System, Rogue Wave Software, Boeing, SunGard Higher Education, Stratus, Cambridge Technology Partners, One Wave, Hyperion Software, Adra Systems, Entergy, CableData Systems, Nortel Networks, Puma, iRobot, Invensys and many more. 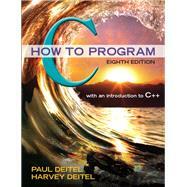 He and his co-author, Dr. Harvey M. Deitel, are the world’s best-selling programming-language textbook/professional book/video authors. Dr. Harvey M. Deitel, Chairman and Chief Strategy Officer of Deitel & Associates, Inc., has 54 years of experience in the computer field. Dr. Deitel earned B.S. and M.S. degrees in electrical engineering from MIT and a Ph.D. in mathematics from Boston University (all with a focus on computing). He has extensive college teaching experience, including earning tenure and serving as the Chairman of the Computer Science Department at Boston College before founding Deitel & Associates in 1991 with his son, Paul Deitel. The Deitels’ publications have earned international recognition, with translations published in Chinese, Korean, Japanese, German, Russian, Spanish, French, Polish, Italian, Portuguese, Greek, Urdu and Turkish. Dr. Deitel has delivered hundreds of programming courses to academic institutions, major corporations, government organizations and the military.